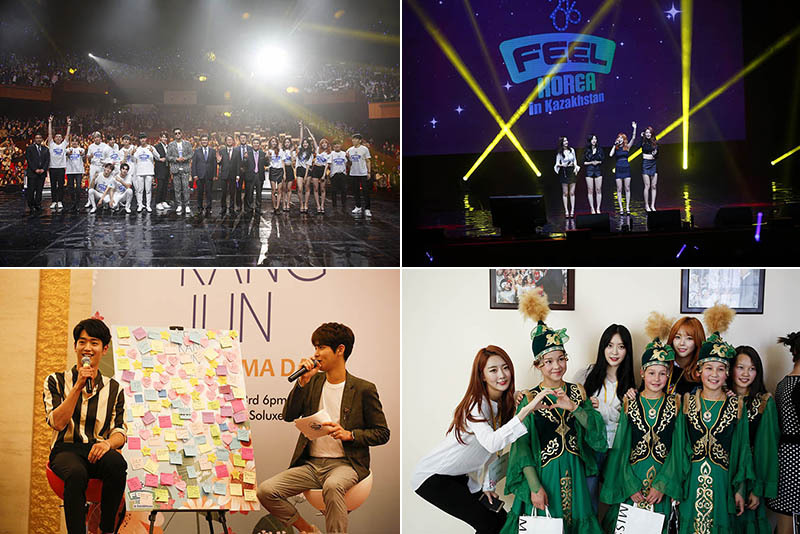 “Feel Korea“ is a bilateral Korean Wave festival wherein one can personally experience various Korean culture contents such as joint performances of K-pop celebrities with local singers, fan meetings, and Korean culture classes. First held in 2012, the festival has been held in Brazil, Canada, Australia, Japan, and India, among others, and is now in its seventh year. It has thus settled as a representative Korean Wave event that fans look forward to. Kazakhstan and Korea share the Altai culture and common cultural features, such as valuing the family and respecting the elderly, which is why Korean Wave soap operas are highly popular in the Central Asian country. Locals who watched Korean soap operas and listened to Korean songs have naturally taken interest in Korea and Korean culture.